LONDON - They roared for Roger Federer just for showing up, greeting his arrival at Wimbledon's main stadium as if his mere presence were enough to justify the price of admission. They clapped and yelled when Federer's drop volley capped a 16-minute tour de force of a first set in which he won 21 of the first 23 points. 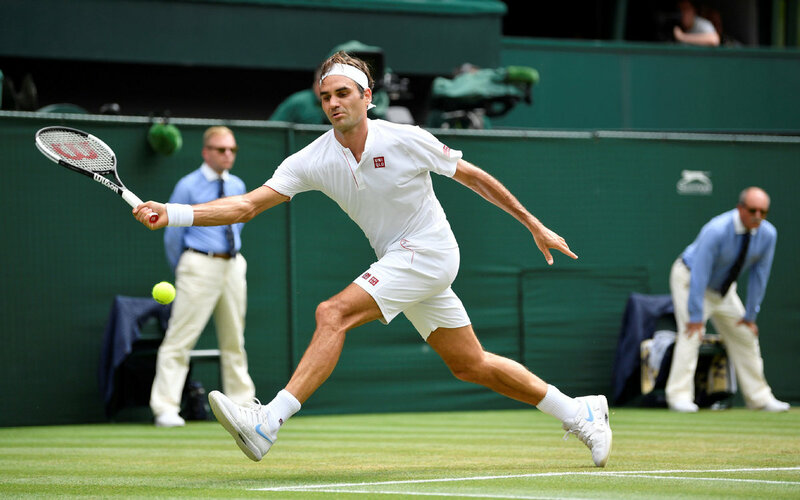 They eventually sent him back to the locker room with a standing ovation, acknowledging the talent displayed by Federer during a 6-0, 7-5, 6-4 victory over 22nd-seeded Adrian Mannarino of France in the fourth round Monday, yes, but also his superiority over the course of a career that has produced eight Wimbledon championships and 20 Grand Slam titles, both records for a man. "Not really," said Federer, the No. 1 seed. "I'm telling myself, 'Why didn't I break the first game of the second?'" His mastery was only the beginning of things for those who spent 120 pounds (about $160) to be at Center Court and were afforded the rare treat of watching three of the greatest to ever lift a tennis racket.